Would you like to put your life in perspective? Want to be able to achieve profound levels of meditation at will? Meditation helps you focus on what's really important to you. 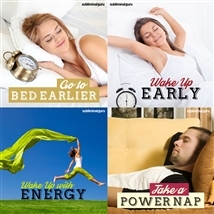 It gives you the tools to shut out the everyday world, truly unwind, and get centered. But how can you concentrate with so many distractions around you? 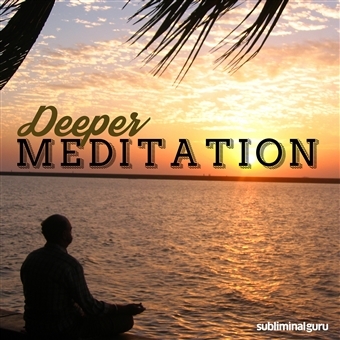 With the Deeper Meditation subliminal session, you'll gain access to your own treasure trove of wisdom and tranquility! 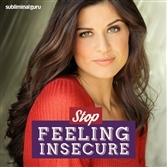 As you listen, thousands of powerful positive affirmations will work to alter your thinking, helping you tune in to your thoughts quickly and easily. You'll start to relax and feel the stress melting away, as your body and mind work together to eliminate distractions. You'll become more patient and calm, letting your system refresh and heal itself from within, bringing you insights, inspiration, and a remarkable sense of peace. Master deep meditation in no time! 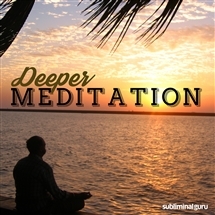 Download the Deeper Meditation subliminal audio now to enrich your life and experience true, crystal-clear enlightenment. I am able to mediate with ease. Meditation helps me relax and let go of stress. I easily achieve a state of total relaxation. Deep meditation heals and nourishes me. Meditation keeps me calm and centered. I am able to quiet my mind. Meditation helps me discover valuable insights. I feel empowered and refreshed after meditation. I can achieve a deep meditative state. Meditation helps me achieve inner peace. Deep meditation restores my energy and inspiration.